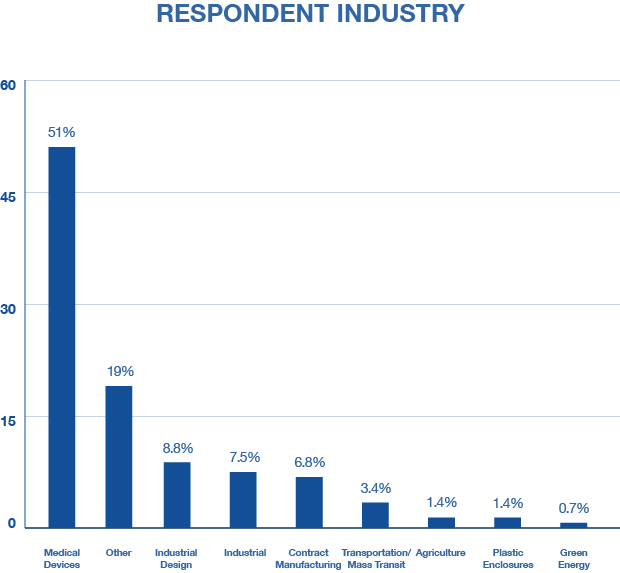 The results of our fifth annual plastics manufacturing industry survey are in! 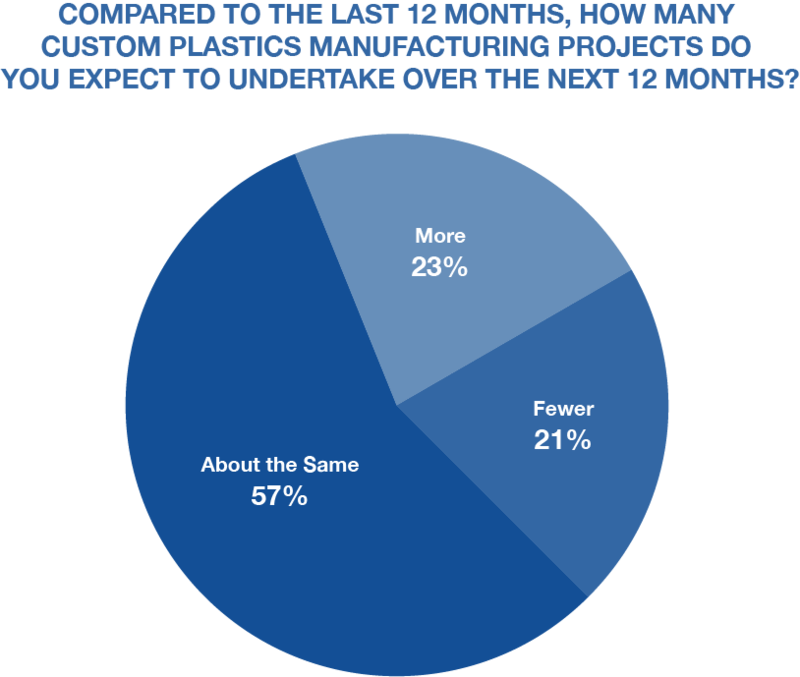 We shared our survey with thousands of people in the plastics manufacturing industry, and after compiling and analyzing the results, we’re ready to take a look at where we’ve been and, even more importantly, where we’re headed. 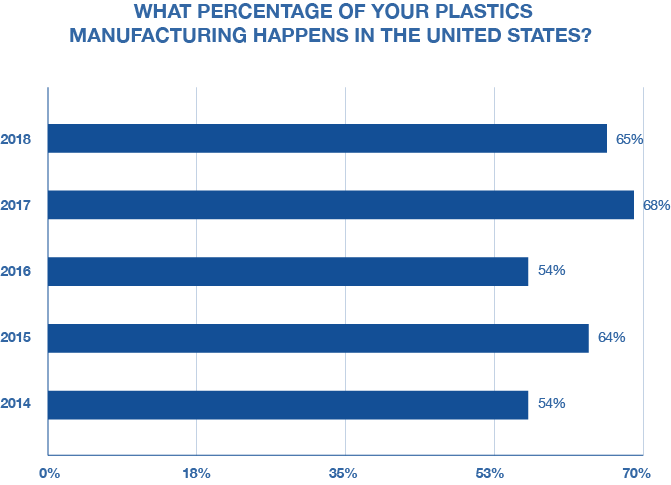 The goal of this survey is to get insight from a wide, representative group of people who use plastics manufacturing regularly as part of their work. We distributed this survey to manufacturing-related tradeshow attendees, relevant publication readers, and a network of industry contacts. They are engineers, manufacturers, administrators, designers and more, and they represent a wide range of industries, including medical device manufacturing, industrial design, industrial, contract manufacturing, and transportation. If you’re a good candidate for this survey and didn’t have a chance to take it, let us know, and we’ll make sure you’re invited to next year’s survey. 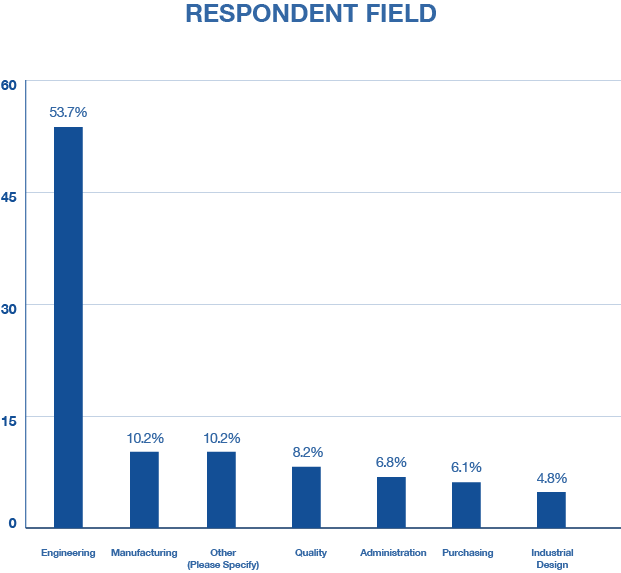 Engineers are always highly represented in our survey, and this year was no exception. This year, survey takers reported a 3% dip in the amount of plastics manufacturing that happens on our shores. Vacuum and pressure forming take a dip, which is surprising given the high response rates of medical device manufacturers; thermoforming is ideal for this market. It’s clear that as an industry, we need to raise awareness about the capabilities and benefits of thermoforming. 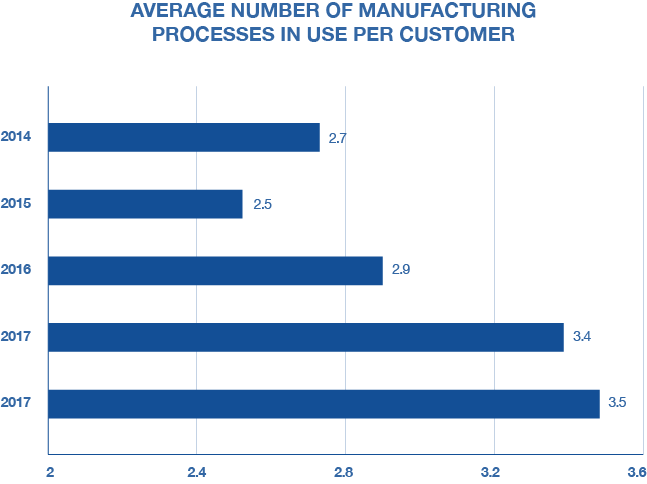 Just like last year, we saw another increase in the number of processes each customer uses. 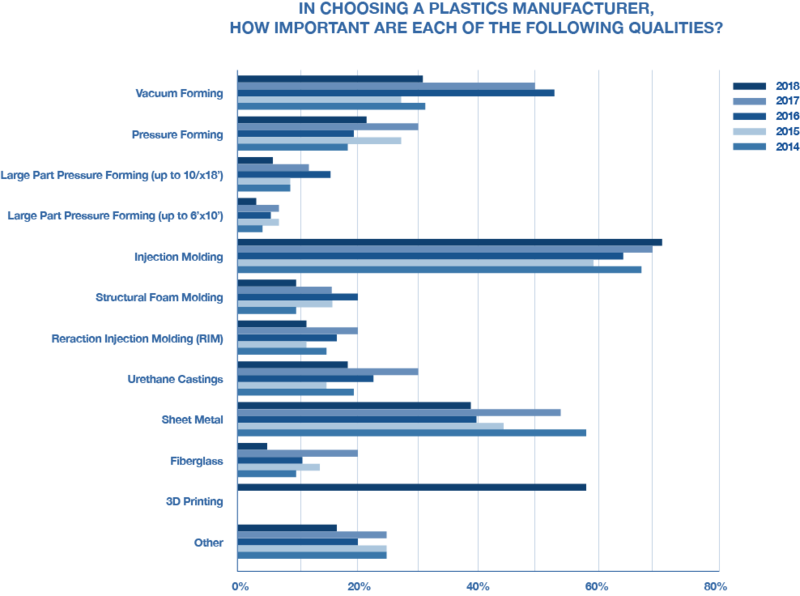 There’s no “one size fits all” in plastics manufacturing, so it’s good to see people picking the right process for them. Is Recycling No Longer a Priority? 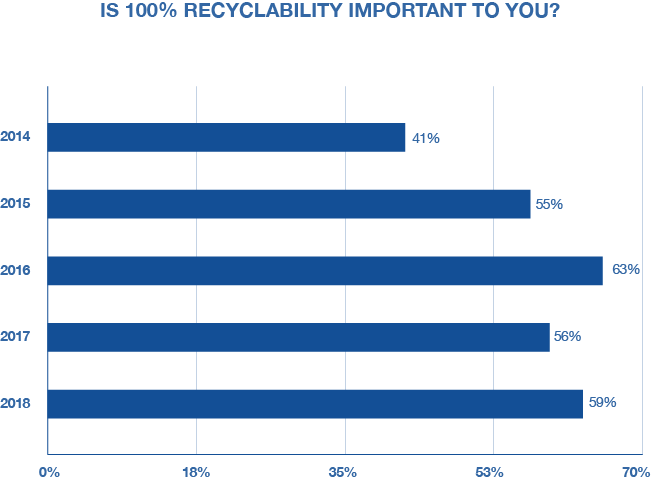 Recyclability registered as the lowest ever priority since we started the survey. 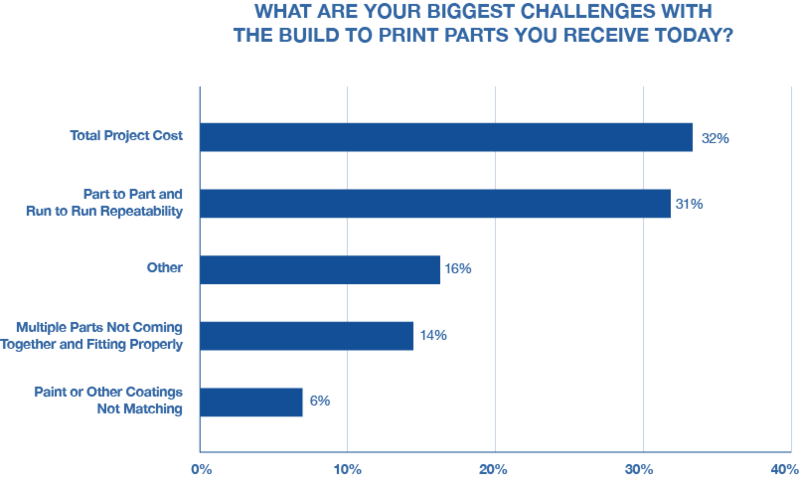 When asked about their biggest challenges, respondents reported total project cost and part-to-part repeatability as the top two qualities. 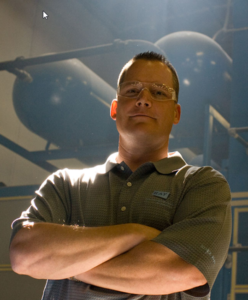 A key takeaway here is a need to educate customers about pressure forming, which offers excellent repeatability, and often lowers overall costs. We asked about survey takers’ priorities a few different ways, but no matter how we asked, quality (or things that indicate quality) were always ranked #1. This has been true every year we’ve run the survey. This survey is just 5 years old, but we’ve been around for a lot longer; in fact, 2019 is our 70th anniversary. 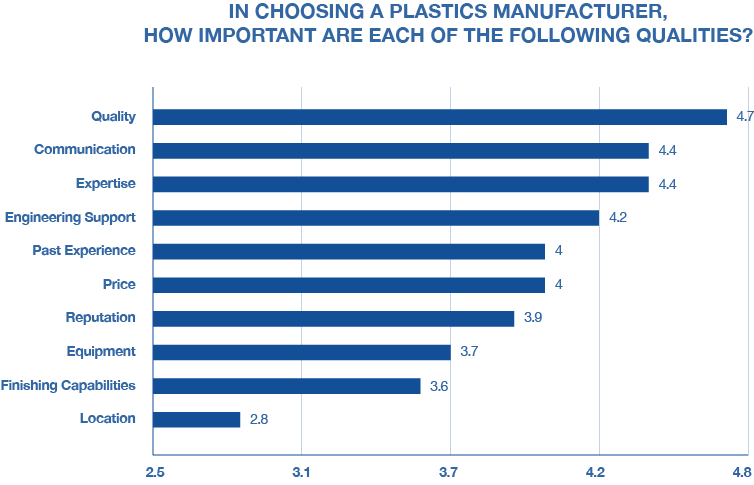 In general, these findings tend to confirm what we already know from personal experience: plastics manufacturing customers want quality, the right process for the job, affordability, and they go domestic when they can. As a plastics manufacturer, we use this survey as a way to gauge what our customers know and don’t know—and how we can help them make the right choice for their next project, whether the right choice is Ray Products or another manufacturer. We are so grateful to everyone who took the time to take the survey. As always, if you have a project that you think might be a good fit for us (or you need help determining what you’re looking for), don’t hesitate to reach out—we’d love to help you out. We’ve been told a couple of times that we’re “obsessive” about quality – and we couldn’t agree more. It’s something we’re proud of, because that obsessive attention to detail is what sets us apart from our competitors. 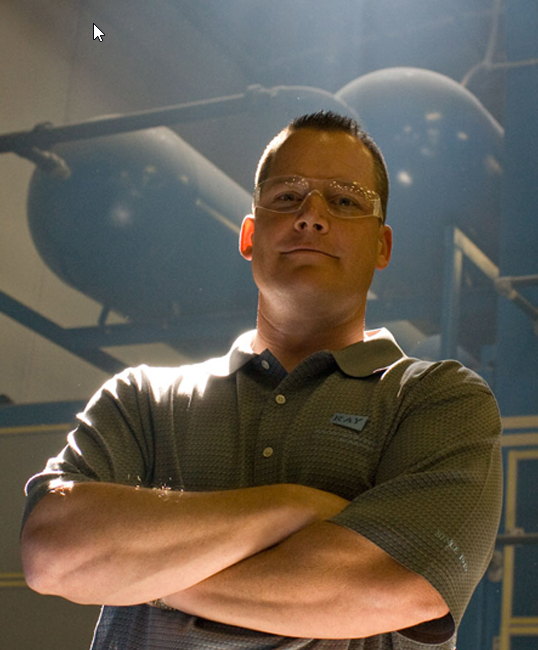 Our customers know that they can rely on the quality and precision of every product that comes out of our doors. So how do we guarantee this quality? First of all, we are committed to investing in state-of-the-art equipment and technology. Second, we continually verify the performance of that equipment and technology using measuring techniques that are accurate to within one ten thousandth of an inch. 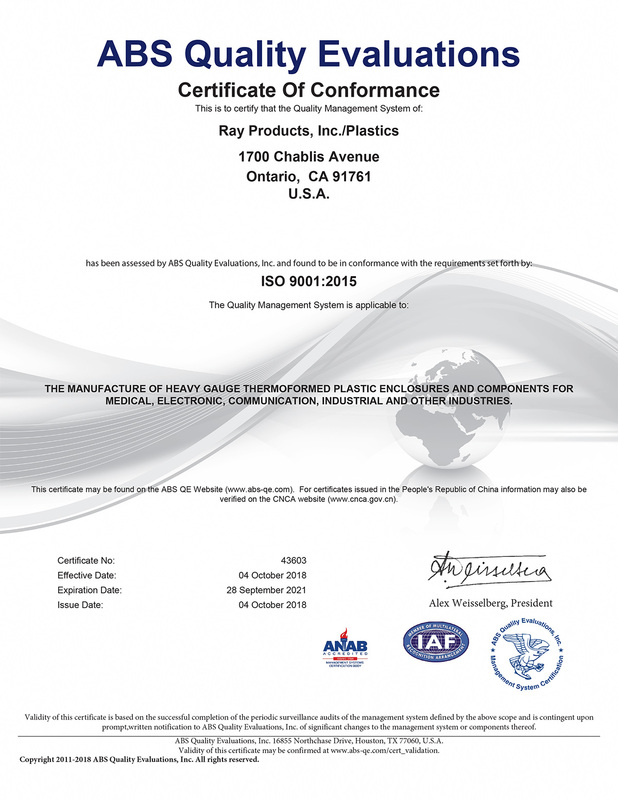 But you don’t have to take our word for it – we’re a fully ISO 9001:2015 certified manufacturing facility. What does that mean, exactly? Great question. The International Organization for Standardization (ISO) is a non-governmental organization with 162 different members, each from a different country. Every member organization represents national standards for their country. 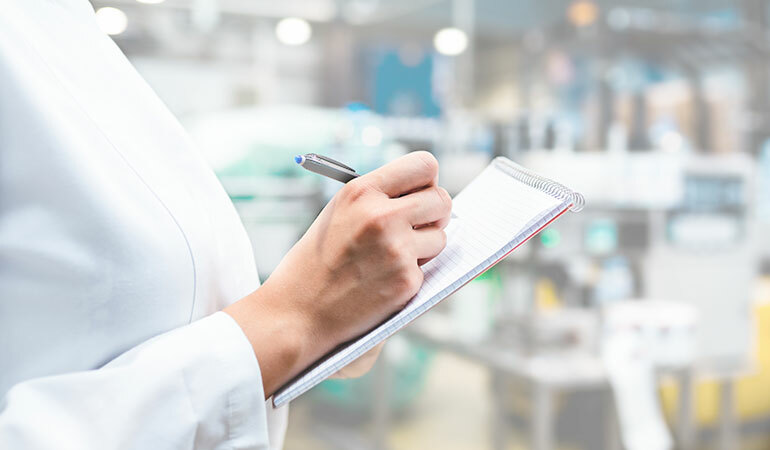 The ISO was created to bring together leading experts around the world to collaborate and develop consensus-based international standards to ensure quality, safety and efficiency across every industry. We recently received our ISO certification (see it here), and are delighted that our obsession for detail is now internationally recognized. We can’t think of a higher compliment. 1968 was an important year in our country. It was a year of triumphant feats: the introduction of the first 747, the installation of the first ATM, the orbiting of the moon – and devastating losses with the assassinations of President Kennedy and Martin Luther King Jr. In 1968, a postage stamp cost 5¢, a gallon of gas cost 34¢, a dozen eggs went for 53¢ and a gallon of milk was $1.07. 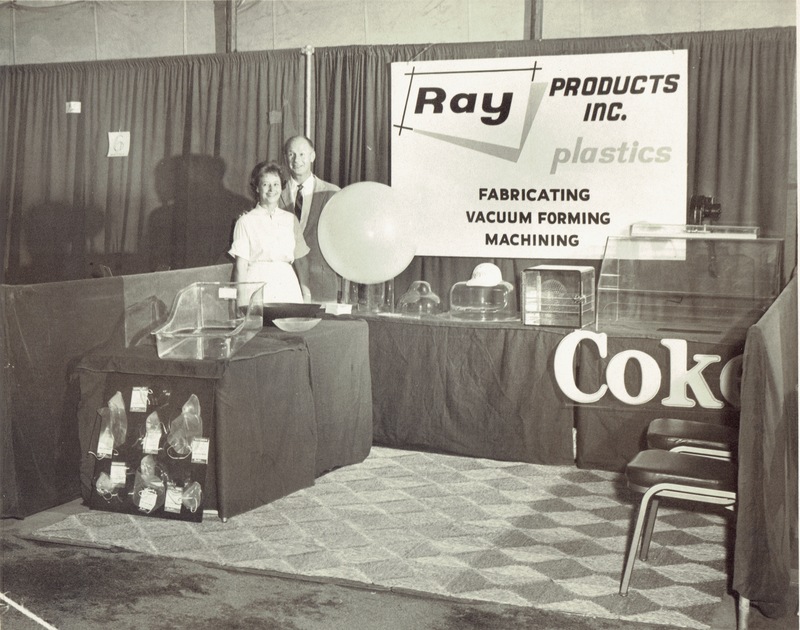 That year, Ray Products was closing in on 20 years in business, with founder Allen Ray at the helm. 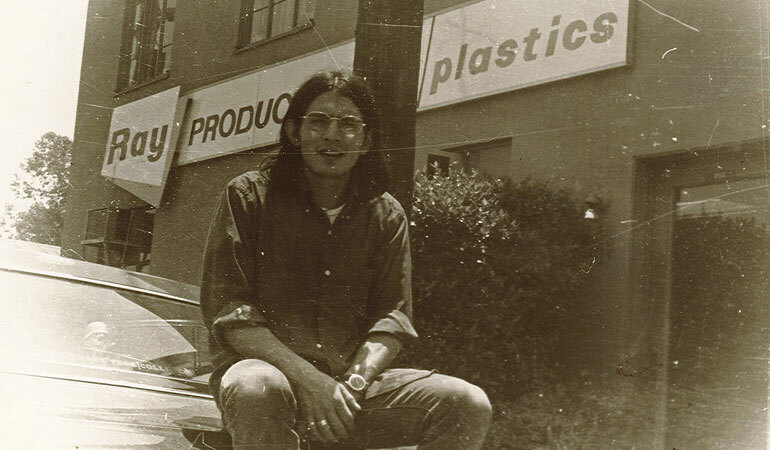 1968 is also the year Hector Noriega arrived at Ray Products for his first day of work on October 30. And 50 years later, on October 30, 2018, Hector retired. Staying at one company for 50 years is an incredible accomplishment – but we consider ourselves the lucky ones. Our current CEO Brian Ray remembers meeting Hector years ago, long before Brian took over the company. Hector’s loyalty and attention to detail – both on and off the factory floor – have made him an excellent employee, colleague and friend. 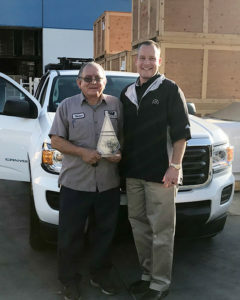 We’ll miss Hector, but we’re excited for him and hope he gets to enjoy his retirement for many years to come – with plenty of fishing trips, visits to Mexico, and time with family and friends. Hector is actually our second employee to celebrate 50 years with us, and we feel extremely fortunate to have worked with him for 50 years. 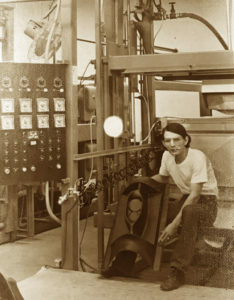 The commitment and work ethic of employees like Hector is one of the main reasons behind our evolution from a company that produced plastic baby bassinets to a leading thermoforming expert that makes plastic parts used around the world across a wide range of industries, from retail to medical devices to automotive and aerospace. Last month, the Society of Plastics Engineers’ held their annual Thermoforming Conference, where clients, vendors and industry leaders come together for innovative and informative thermoforming workshops and sessions. One of the best parts of the event is the Parts Competition, which showcases the latest advances in thermoforming design and applications. 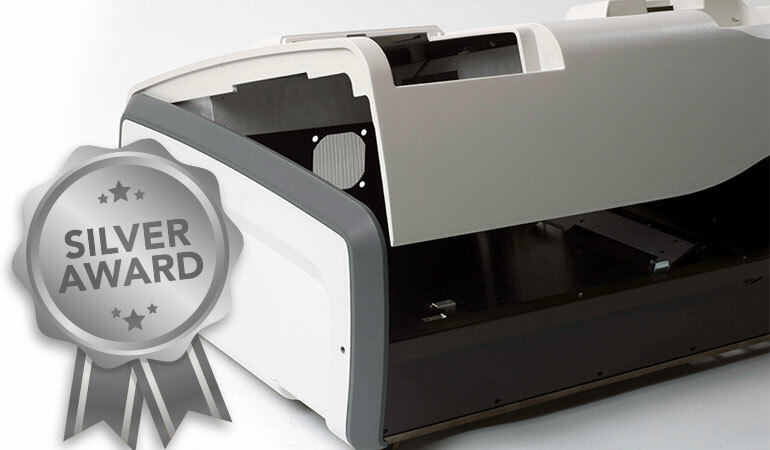 The best parts receive awards, and we were thrilled to win a silver award this year for a multi part medical device we made for a client in southern California. 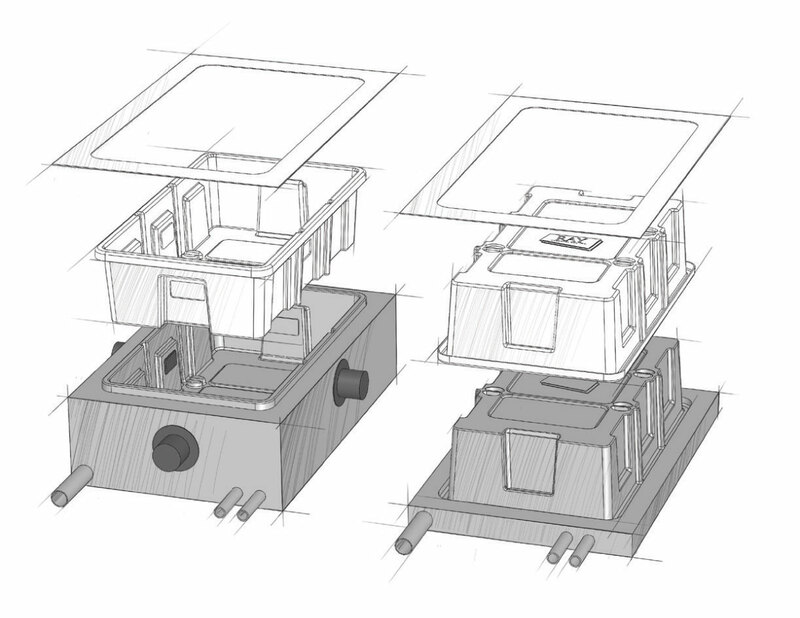 After developing prototypes that used urethane casting to create the enclosure panels, a medical device manufacturer client was ready to move to mid-scale production. But they quickly realized that the urethane casting process would mean limited manufacturing capacity, high cost per part and could yield issues with consistency from part to part. We had a solution: pressure forming. By switching from urethane casting to pressure forming, our client was able to significantly lower costs, improve manufacturing speed, increase durability and guarantee part-to-part repeatability while simultaneously planning for future increases in demand and capacity. We worked closely with the client to reduce the total number of losses, adding in undercut features for rigidity and improved fit, and making other alterations to lower manufacturing and assembly costs and improving aesthetics. Read the full case study here. We’re grateful for the recognition (including the shout out in Plastics News) and are gunning for the gold next year! We just got back from a fantastic Design-2-Part show in Long Beach, California. 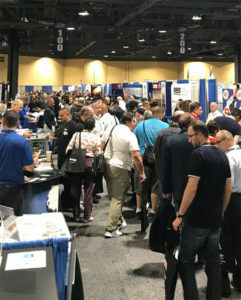 We had great conversations with many potential clients, and we weren’t alone; Chris Davis, VP of Trade Shows at the Job Shop Company, said that this year’s Long Beach show was the largest attended Southern California D2P show they’ve had since 2000. These days, it’s easier than ever to conduct business remotely—the internet allows for communication that is instantaneous and effortless. But for us, this show was an important reminder that while the internet age has brought us more technology and efficiency than we could have imagined, nothing replaces face to face interaction. At Long Beach, we had the opportunity to talk directly to engineers and decision makers with purchasing power. 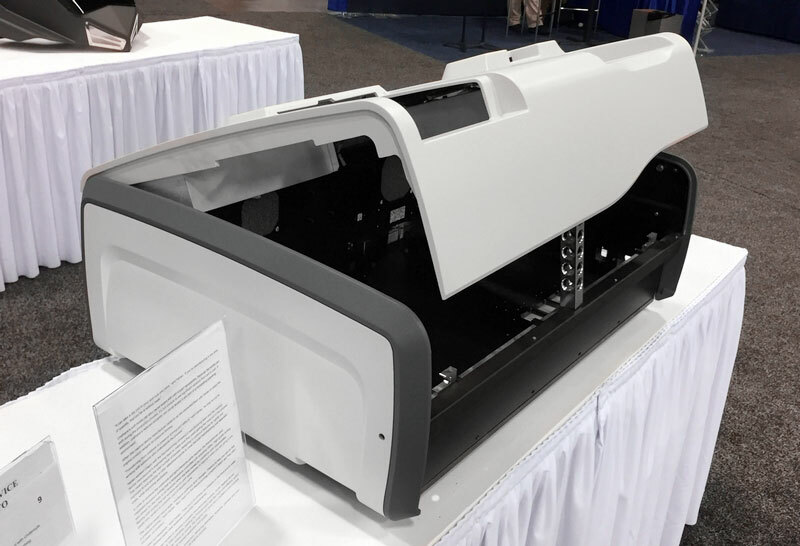 We were able to show the actual thermoformed plastic parts we’d made, and we could talk through their projects and how we could help—right there on the show floor. Thanks to everyone at D2P for a great show! We’re grateful to have partners like you in this business and look forward to seeing you at the next show. If you’ll be in town on September 12th and 13th, here are our recommendations for what not to miss. Check out the waterfront. 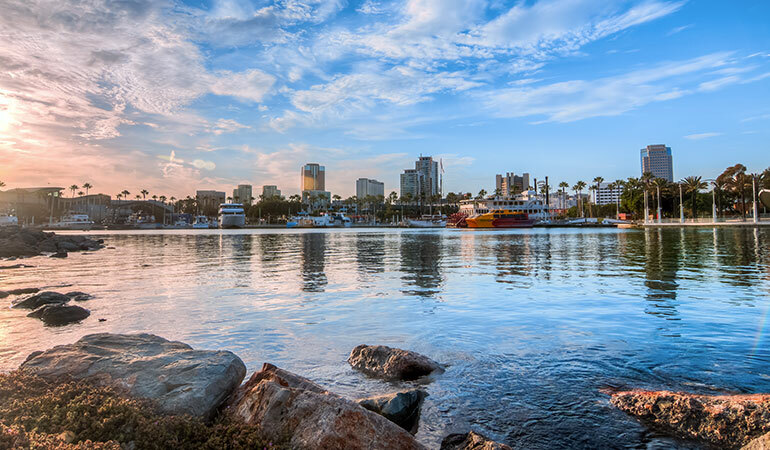 Long Beach is where city meets resort, and the waterfront is the perfect place to experience the best of both worlds. Stroll along Shoreline Park and admire the boats in the harbor, visit the lighthouse, and poke around the fun and unique shops of Shoreline Village. Get out, in or under the water. Don’t miss the world-renowned Aquarium of the Pacific. With over 11,000 animals in more than 50 exhibits, the aquarium recreates many of the Pacific’s unique ecosystems. If you want to see marine life in the wild, consider a whale watch. And if you’re extending your stay and have some extra time on your hands, take the Catalina Express out to the Catalina Island, a breathtaking destination 22 miles off the coast. Visit the Queen Mary. Built in the 1930s and retired in 1967, the historic Queen Mary is an ocean liner-turned-hotel permanently docked in Long Beach. Whether you book a stay or just drop by for a drink, meal, tour or special event, the Queen Mary is a must-see. Grab a bite to eat. There are many dining options near the Long Beach Convention Center, so you’re bound to find something right up your alley. For breakfast or a light bite, we love Crème de la Crepe. For lunch, the sandwiches at the family-owned Modica’s Deli are excellent. In the mood for a delicious meal with a gorgeous view? Check out Parkers’ Lighthouse. Come say hi. We’ll be at Booth #143 from 9:30 a.m. to 4:00 p.m. on Wednesday the 12th and from 9:30 a.m. to 3:00 p.m. on Thursday the 13th. Come find us, say hi and let us know what you’re working on right now. We’d love to tell you a bit about thermoforming and what our custom-manufactured plastics can do for you. We’re fast approaching our 70th year in business here at Ray Products. As I take stock of where we started, where we are today and the future, I’m astounded by how much the world has changed. Globally, our technological capabilities have grown exponentially – enabling businesses like ours to better serve our customers, employees and investors. But Ray Products was in business long before the technological boom of the nineties and aughts, and will continue to be, thanks to a philosophy that began with my grandfather: the importance of doing business the right way. One of the most revolutionary changes to come out of the internet and social media age is access. We are exposed to the thoughts and practices of world-famous CEOs and thought leaders in real time. On the one hand, this is invaluable: We have unfiltered access to the minds of some of the most successful entrepreneurs in the world. The downside is that this sometimes leads to a skewed perspective: the idea that a business or company is equivalent to its founder or leader, rather than the sum of its parts. This is particularly worrying when the CEO is a larger-than-life celebrity figure whose immediate focus is short-term profits. In reality, a successful business is built on a foundation of many people: employees, investors, suppliers, customers. And while a cutthroat and ambitious CEO can certainly propel a company into enormous wealth in the short term, that by no means guarantees longevity. Whether or not a company prides itself on doing business the right way is a much better indicator of long-term success. Quality Product: Building your business around a product or service that people need – and doing it well. Fair Employer: Treating your employees with respect, creating a safe and productive work environment, and compensating fairly – while simultaneously holding them to reasonable standards. Reliable Partner: Establishing solid relationships with partners and suppliers based on trust and mutual respect. Of course, at the end of the day, a business is a business – and the company’s bottom line is the highest priority. But once any of these pillars crumbles entirely in deference to profits, the collapse of the business as a whole is almost inevitable. As Business Insider (BI) noted earlier this year, many U.S.-based companies have, over the last few decades, begun to equate long-term success with maximizing short-term profit for shareholders. In its “Better Capitalism” series, BI makes a compelling argument for more ethical business practices, not simply because it’s the right thing to do (which it is), but also because it’s better for the economy. Indeed, from prioritizing the well-being of employees to putting an emphasis on valuing employees, customers and communities, some of the most successful companies in the world – Google, In-N-Out, St. Jude’s, AT&T, P&G, Nike – are doing business the right way. Ray Products was founded in 1949, nearly half a century before the internet age. At the time, Ray Products’ primary output was plastic baby bassinets. Today, we manufacture a wide range of thermoformed plastic parts for many industries, including medical equipment, transportation, green energy, automotive, building & construction and recreational equipment. But over the years, our commitment to our customers, employees and partners has never wavered – nor will it. By continuing to invest in technology, our customers, partners and employees, we easily have another 70 years ahead of us. 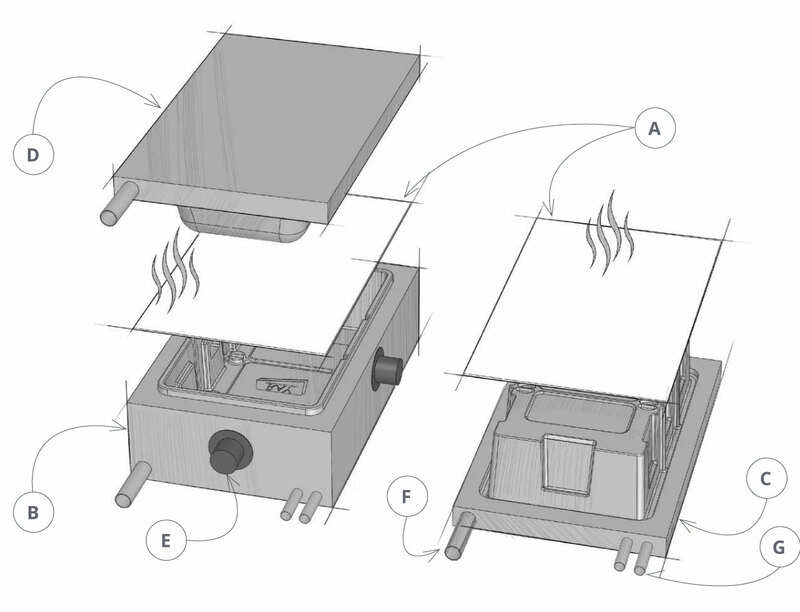 This post is a preview of the in-depth information included in our Thermoforming Handbook, a guide previously only available to our customers and partners. If you would like a copy of our design handbook (or any other technical materials), please click here to access our library page. 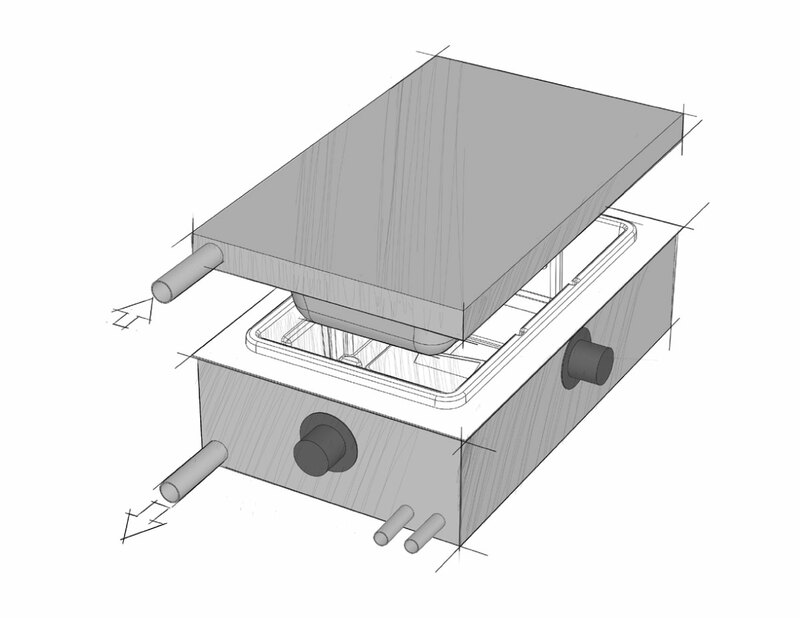 Both pressure forming and vacuum forming are processes that are easiest to understand when they’re explained visually. First, a sheet of thermoplastic is heated until it becomes pliable and moldable. In the vacuum forming process, the plastic is stretched over a single male mold, and air is vacuumed out from underneath the mold. In pressure forming, the heated plastic is placed between male and female molds, which are then pressed against the plastic sheet using compressed air at a pressure that ranges from 20 to 100 psi. Finally, the now molded plastic part is removed from the mold and allowed to cool. It’s then moved to a trimming station where the excess plastic is removed with a six-axis fully robotic trimming machine. 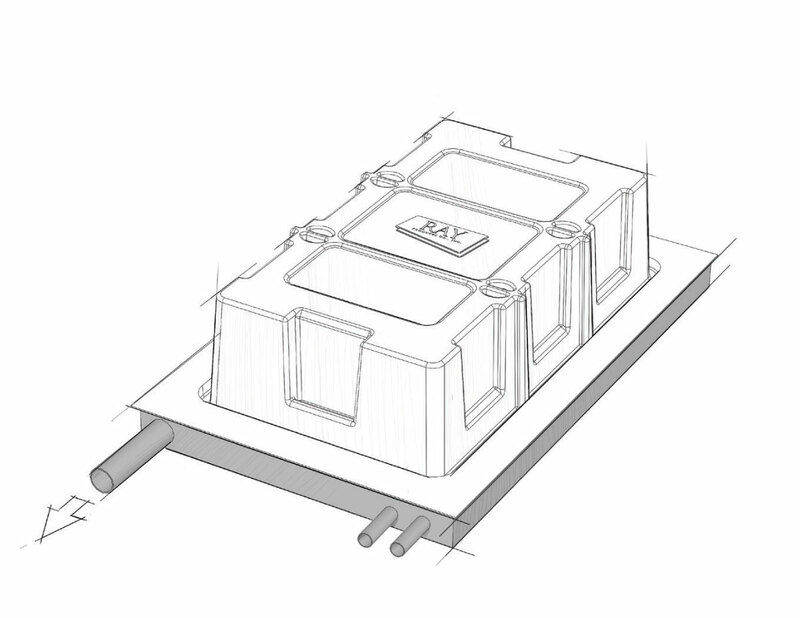 If your part requirements range from the low hundreds to the high thousands, thermoforming is almost always the chosen process. Our thermoforming equipment, the largest on the West Coast, can create single pieces up to a full 10 feet x 18 feet, with up to 40 inches of depth. Any color, including metallics, fire-rated, impact resistant, UV resistant, antibacterial properties, ROHS/REACH compliant, recyclable and so much more. Make complex shapes without high tooling costs. Consistency and precision from part number 1 to part number 5,555; with no warpage, improved flatness and zero residual stress. Make assembly cheaper and faster with undercuts, molded-in attachment points, tabs, slots and more. Mold in color and texture, paint, silk screen, EMI/RFI shielding and more. The choice is yours. Make changes quickly without spending thousands on new or reworked tooling. From high-gloss to matte to custom, you’ve got options for textures. Description A sheet of plastic material is heated to pliability, then pressed against a 3D mold by vacuuming out the air between the sheet and the mold. A sheet of plastic material is heated to pliability, then pressed against a 3D female cavity mold by vacuuming out the air between the sheet and the mold, and applying compressed air from 20 to 100 psi above the plastic sheet. Dimensions Male tool, vacuum formed parts to be dimensioned to the inside surfaces of the part. Female tool, pressure formed parts to be dimensioned to the outside surfaces of the part. 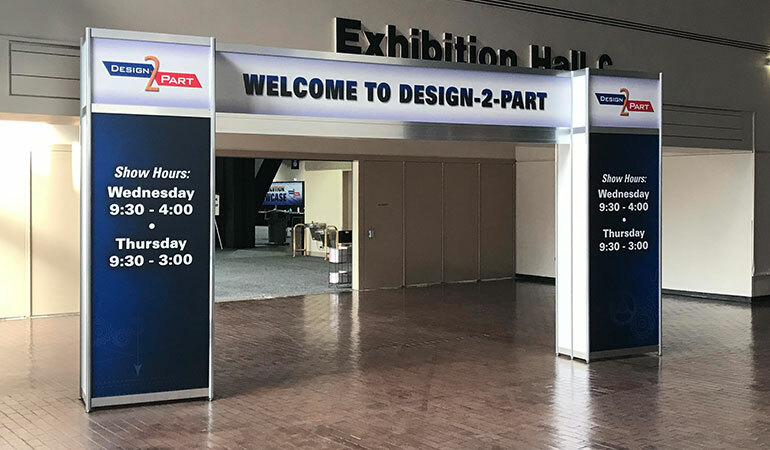 It’s no secret that Design-2-Part Santa Clara is one of our favorite trade shows—mostly because of the fantastic people and cutting-edge technology we encounter year after year. But the fact that it’s in Santa Clara is also a big draw, and over the years, we find ourselves returning to the same great spots while we’re there. If you’re headed to D2P Santa Clara later this month, here are a couple of things we highly recommend doing while you’re in town. 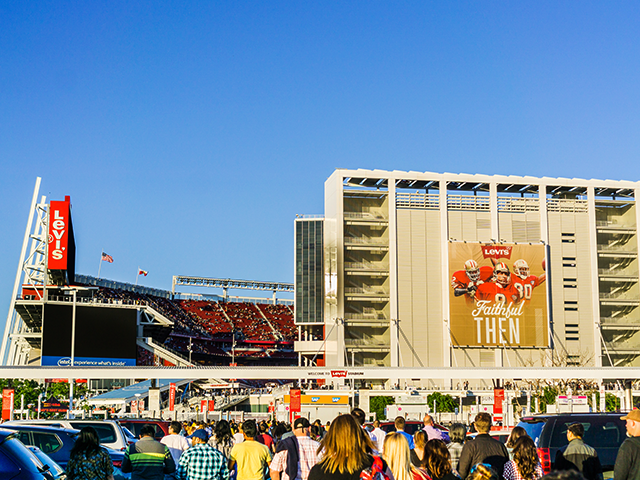 Visit Levi’s Stadium. As we mentioned last year, our CEO Brian is a die-hard, unapologetic 49ers fan—and before you say anything, he wants to state for the record that he has a good feeling about the 2018-2019 season. Even if you don’t share Brian’s zeal for the 49ers, the 49ers Museum is worth a visit for any football fan. It’s only open Friday through Sunday, so stop by on your way out of town after the show. Grab a bite. Santa Clara has some excellent dining options. If you want to go all in at Levi’s Stadium, check out Bourbon Steak or Bourbon Pub. Other popular spots include Birk’s Restaurant, a classic bistro-style steakhouse, and The Fish Market. Get some culture. From the beautiful Mission Santa Clare de Asis church at Santa Clara University to California’s Great America theme park, there’s something for everyone in Santa Clara. Experience 3D Printing. For the first year ever, D2P Santa Clara will have a 3D Printing Pavilion dedicated exclusively to 3D printing technology. Don’t miss it! Come Say Hi. We’ll be at Booth #250 from 9:30 am – 4:00 pm, both Wednesday and Thursday. Come meet us and find out what makes our custom-manufactured plastics the best in the business—and how we can help make your business the best it can be. Register here if you haven’t already. We hope to see you there!